This lovely pale pink and white cotton blend dress is made by Rosalina, a leading designer of quality childrens' classic apparel. 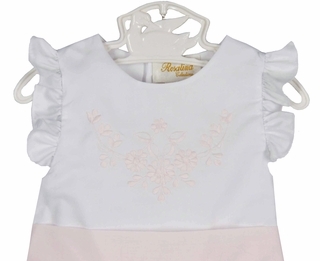 It features a a white bodice delicately embroidered with a pale pink floral design. The dress has a simple round neckline with flutter sleeves. 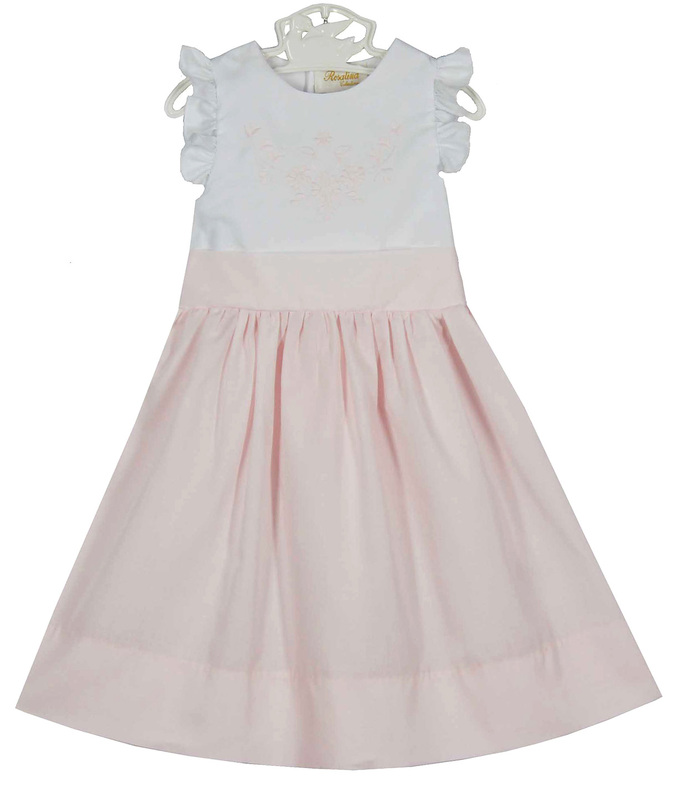 The gathered skirt falls from the natural waist and has a deep 3" hem, a sign of quality construction in children's garments. 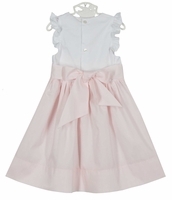 This would be a lovely Easter or portrait dress for your toddler or little girl. Note: A slip is highly recommended with this dress. Grammie's Attic has a wonderful selection of Rosalina daygown, diaper shirts, and diaper sets, dresses and rompers and bubbles, and christening apparel. Be sure to see all our beautiful Rosalina outfits for take home, portraits, parties, birthdays, and special occasions for your babies, toddlers, and little boys and girls.